With so much of what we do online these days, from blogs to social media, YouTube, and Instagram, you can see why more and more people are wanting to look for ways to be more confident behind the camera. Show that you are out there living your best life and doing your thing, and being happy with the photos that are taken of you, is such an important thing. Otherwise, it can be just pressing delete after delete on each and every photo, and that is not a good thing, as there will be none left and none to look back on. And because every photo doesn’t need to be a selfie, knowing a few sure-fire ways to boost your confidence in front of the camera and help you pose will get you those photos that you want to share. So with all of that in mind, here are some simple ways that you can feel more confident with the camera. Is there anything else that you want to add to the list? Taking photos at the right angles, and the right ones that suit you, are going to instantly make a photo look better. Shots from above are usually pretty flattering, whereas shots from below can make you look large and accentuate things like jawlines and chins. So whether this is just for your ‘gram grid or you’re learning to pose for wedding pictures, know what your best angles are. It could just be taking time to look in the mirror and find out what the best angles are; it is all good. If you know you have a big photo shoot coming up or want to take new headshots for work or social media, then you want to look and feel your best. But of course, looking and feeling your best is different for each individual person. But if there are things that you are able to do to help you feel more confident, then why not go for it? It could be anything from getting invisalign braces, to getting color contact lenses or have your eyebrows done. Small things can make a big difference to how you look and feel, and they could be just the boost that you need to feel good about yourself. Lighting in photos is so important, and it can play a massive role in what the images look like. Natural light is the best, but of course, it can be harsher at some times of the day and softer at other times of the day. So getting to know light and the impact that it has on photos, and where the light needs to be coming from, is a good idea to help you to feel confident behind the camera. In summer, for instance, you need to think about evening light, as it is still bright, but not a harsh brightness like it would be at noon. You want soft light to compliment you, rather than harsh light making you squint. 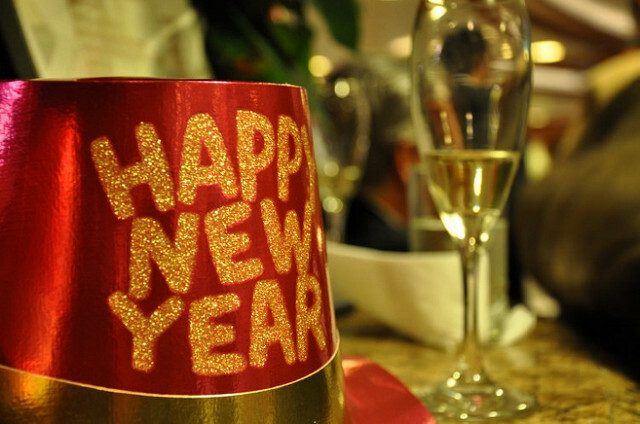 Creative Theme Ideas For The Best New Year's Party...Ever! early on the hunt for something better to bring in the new year? Either way, this article is for you. nobody will be in a hurry to leave before the chimes of midnight. Here are some of the themes we are considering. your Masquerade party it's finishing touches. You may be welcoming in 2019, but you don't have to stick to this decade's fashion or music choices. and props of the decade, and have an appropriate music list that matches the era you have gone for. at the end, where everybody wins a fake Oscar statuette for something they have done in the evening. Those were just a few ideas, but if you are still looking for inspiration, there are plenty more themed party ideas here.